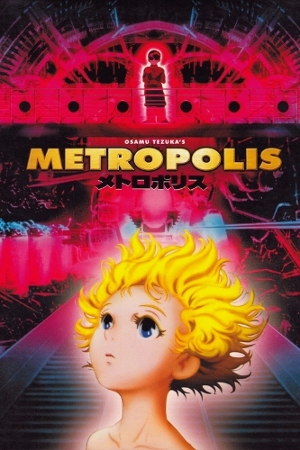 A visually ambitious slice of futuristic drama, Osamu Tezuka's Metropolis (2001) is kinda-sorta based on his 1949 manga and Fritz Lang's 1927 silent film...but not really. The spirit is the same, though: like most stories rooted in science fiction, Metropolis attempts to predict the future by borrowing concepts from different time periods, inventing a few new ones, and hoping to reveal something meaningful about our current time in the process. It doesn't fulfill all those promises, but at least stays afloat on pure visual strength: with its impressive combination of hand-drawn animation and CGI elements, Metropolis easily defies its modest $15M budget and still looks more like a movie twice that expensive. But while it looks pretty great, Metropolis bites off more than it can chew in the story department. 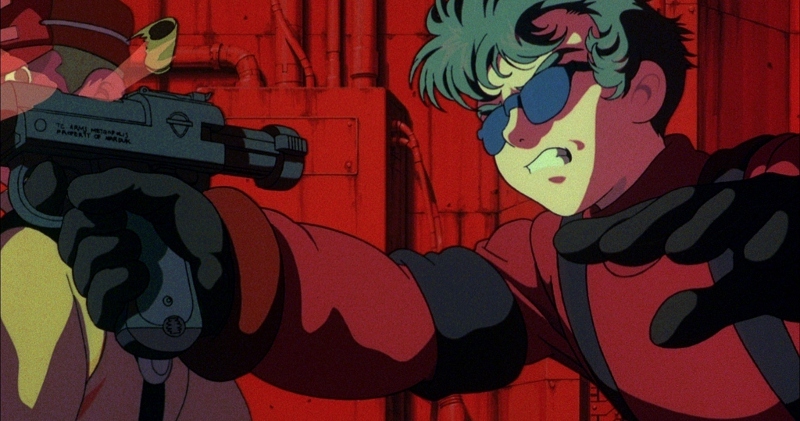 Written by Katsuhiro Otomo (Akira) and directed by Shigeyuki "Rintaro" Hayashi, this is a far-reaching film with more than a few memorable moments but way too much going on. Our story takes place in Metropolis, an enormous futuristic city at war with itself: robots have taken most of the jobs and manual labor, leaving many humans destitute...or at the very least, pissed off. Meanwhile, de facto leader Duke Red unveils the recently-completed "Ziggurat", a humongous skyscraper that will increase the power of mankind (read: himself) on an international scale, but violence breaks out at the opening ceremony between man and machine. Meanwhile, Duke Red's son Rock -- who moonlights as the leader of a anti-robot vigilante group -- has ties to an organ trafficking doctor, so private detective Shunsaku Ban and his nephew Kenichi are brought in to investigate. It's also revealed that the doc has been building an advanced robot that resembles Duke Red's late daughter Tima, who is activated before a fiery explosion that levels the doctor's laboratory. Soon enough, Tima is self-aware. There's more where that came from. A lot more, in fact: I only summarized the first 20 minutes, and Metropolis clocks in at nearly two hours. Unfortunately, the film' effectiveness is deflated by its own ambitious scope, a combination of too many supporting characters and detours during what should be a more streamlined journey (Akira was guilty of this too, but it at least had better developed characters.) 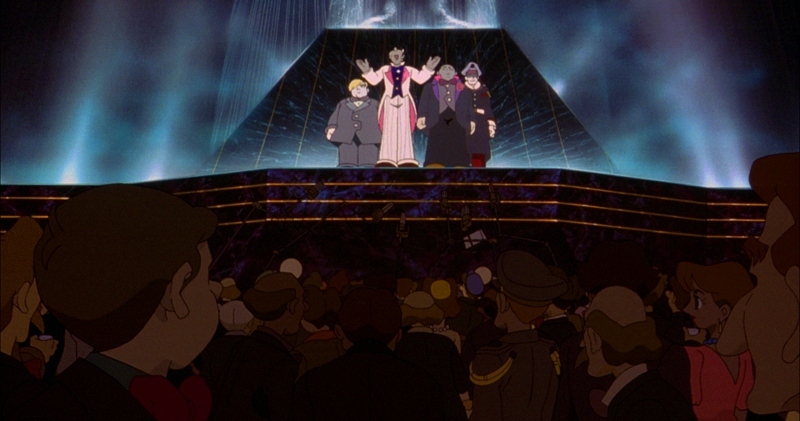 Speaking of which, my way more subjective gripe about Metropolis is its character design: not surprisingly, most look like something right out of Tezuka's Astro Boy, but they often stick out for all the wrong reasons when set against the film's dark and largely serious atmosphere. (Duke Red and detective Shunsaku Ban are the worst offenders -- they seem so out of place that it's hard to take them seriously.) Still, it's the way-too-crowded plot of Metropolis that leaves the sourest aftertaste, robbing an otherwise interesting story of its immediate effectiveness and lasting power. That's bad news for any film, but especially one steeped in science fiction. I remember enjoying Metropolis a bit more back in 2002, when it was first released on Region 1 DVD by Columbia Tri-Star. It was an impressive effort with solid A/V specs, cool gatefold packaging, and a nice little assortment of bonus features presented on a second "mini disc". Sixteen years later (and following a Region B Blu-ray by Eureka in 2017, as well as a Sony "Choice Collection" burn-on-demand BD-R a few months earlier), Mill Creek's new Steelbook combo pack proves that very little has changed since then: I didn't warm up to the film as much this time, the A/V presentation is marginally improved overall (with one glaring exception), and those same bonus features are still included on a DVD. Metropolis was obviously a forward-thinking production visually, with a blend of hand-drawn and CGI elements that usually blend together well enough and, for the most part, still hold up 17 years later. Yet while Mill Creek's Blu-ray obviously advances upon Columbia/Tri-Star's 2002 DVD, this 1080p transfer still leaves room for improvement. (For the record, it appears to use the same source elements as Eureka's 2017 Blu-ray combo pack, as well as Sony's MOD release from a few years back.) In most cases, it's a solid presentation with strong levels of image detail, deep black levels, and good color reproduction. Yet other moments don't fare as well: heavily saturated scenes -- especially those with red backgrounds -- are prone to bleeding, a few shots are noticeably soft, and there's a persistent level of noise and other anomalies that give the overall image a slightly "buzzy" look. While some problems may be source-related and this undoubtedly represents the best that Metropolis will look on home video for the time being (at least on this format), one should expect a little more from a Blu-ray that promises an "amazing HD presentation" on the back cover's list of special features. Disappointingly, Metropolis' original Japanese audio is limited to PCM 2.0, unlike the 2002 DVD (which included Dolby Digital and DTS options in full 5.1 surround) and Eureka's 2017 Blu-ray combo pack (lossless 5.1). 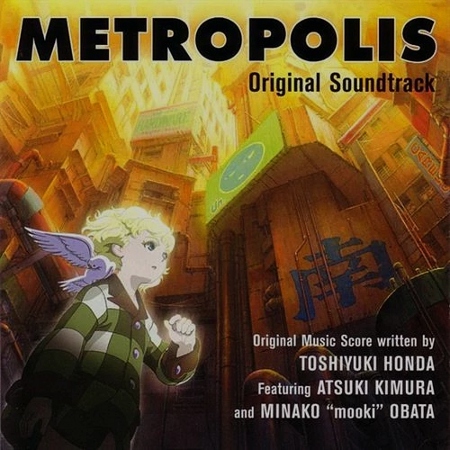 Metropolis still sounds good in stereo with crisp dialogue, strong music cues, and good channel separation, but the optional DTS-HD 5.1 English dub sounds much more dynamic in comparison and will make any self-respecting subtitle reader wish that a surround option was included. Speaking of which, at least we get two sets of subtitles: one for the English dub track and an original audio translation, which pair automatically but can be removed. Both appear accurate, although background dialogue is often ignored and, for whatever reason, most of the opening and closing credits aren't translated either. The main draw for this release is its gorgeous Steelbook packaging, which looks incredible from just about every angle. It's an attractive and eye-catching design with a debossed horizontal logo, an accented clear slipcover, and great imagery on the inside as well. One small nitpick: there's overlapping hubs but no insert booklet, which seems like an odd design choice. Anyway, it's still better than the plain-wrap menu interface -- there's not even a chapter selection screen, and bonus features are only included on the DVD copy. Either way, it looks like most of Mill Creek's budget for this release went into the fancy packaging...so if that's your thing, you probably won't find much to complain about here. Not surprisingly, these extras (included on the DVD only) are ported from Columbia/Tri-Star's 2002 release, which included everything on a separate "mini disc". These recycled bonus features include the 30-minute "Making of Osamu Tezuka's Metropolis", two short Video Interviews with director Rintaro and writer Katsuhiro Otomo, a pair of multi-layered Animation Comparisons, plus an extensive still gallery of Concept Artwork. Not a bad group of extras, but very annoying that they're not duplicated on the Blu-ray -- it's a single-layered disc and there's still plenty of room for the SD content. 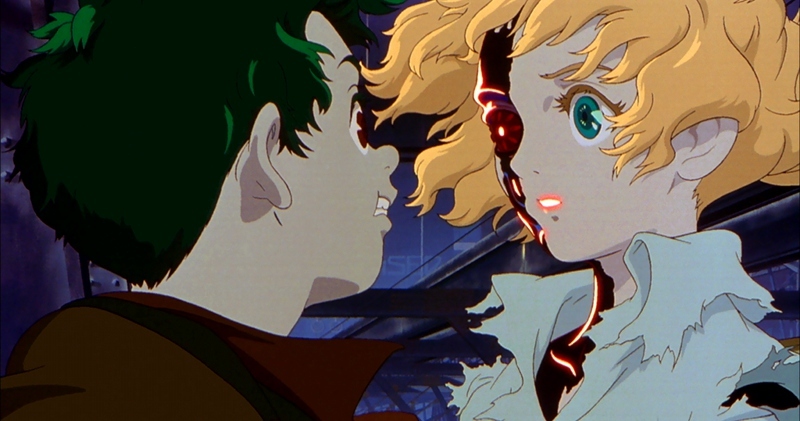 Much like its fore-bearer Akira (also written by Katsuhiro Otomo), Osamu Tezuka's Metropolis is a visually ambitious drama that, story-wise, bites off a little more than it can chew. Although not without its share of memorable moments and great concepts, the production rarely rises above the level of a somewhat empty spectacle. (A more subjective nitpick: some of the character designs are just goofy, and just don't match the film's typically ultra-serious tone.) I remember liking this a little more back when Columbia/Tri-Star's 2002 DVD first came out...and while its futuristic setting has aged fairly well, the film's fundamental flaws are more obvious than ever. Anyway...while this isn't Metropolis' first time on Blu-ray, Mill Creek's Steelbook is probably the easiest and cheapest way to get it without a region-free player. You're mostly paying for sweet packaging, though: its A/V presentation is good but not exceptional, and the bonus features are all recycled from 2002. Die-hard collectors might bite, but casual fans and newcomers should try before they buy. Rent It.